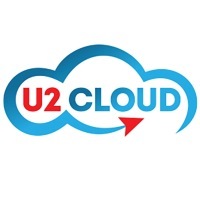 Jacksonville / Orlando, Fla. — U2 Cloud in Jacksonville, recently formed a partnership with Global Technology Integrators, LLC (GTI) headquartered in Orlando to develop a groundbreaking cloud platform for the military and law enforcement. Joe Solano, president of U2 Cloud, said his firm has designed a Cloud platform for GTI, integrating its services for software delivery, software management and result storage with GTI’s Escalation of Force Live Fire System to be utilized by military and law enforcement. The U2 cloud platform enables GTI to provide a very unique scoring and capturing of Live Fire Escalation Force training scenarios. GTI and Troysgate developed the Escalation of Force Live Fire System – a custom training system that allows live fire encounters with combatants that are real humans. This allows for not only real verbal interaction but real movement of all participants. The system does not require the trainee to use any special weapons or ammunition. Oxford said, moving our infrastructure to U2Cloud provides us a more secure and flexible delivery mechanism with far less maintenance requirements & costs. U2 Cloud is a client company of the University of Central Florida Business Incubation Program. U2Cloud enables users to access data from anywhere, and at any time with the same experience you have come to expect from your office desktop or laptop on the road. All your software, apps, data files and Email…securely operating in the Cloud. U2Cloud offers ultimate 24/7 portability and security, at reduced cost. No hassles, software updates to download or maintain, and simple to subscribe. With a variety of service levels appropriately scaled to government, private sector enterprise and a wide array of industries. U2Cloud is operating globally from a growing number of North American facilities on the East coast, Midwest, and West coast. GTI is a Woman Owned Small Business headquartered in Orlando, FL with R&D and Production facilities in Clyde, NC. The team at GTI has over 3 decades of experience solving complex problems with simple cost effective solutions within the government urban training space. GTI employs MOUT experts, professional engineers, software designers, machinist, technicians, and assemblers that take pride in every component and finished product that leaves our facility. Whether you’re in need of Design, Prototyping, Assembly, Manufacturing, Integration, Preventive Maintenance, or Repair Services you can count on GTI.